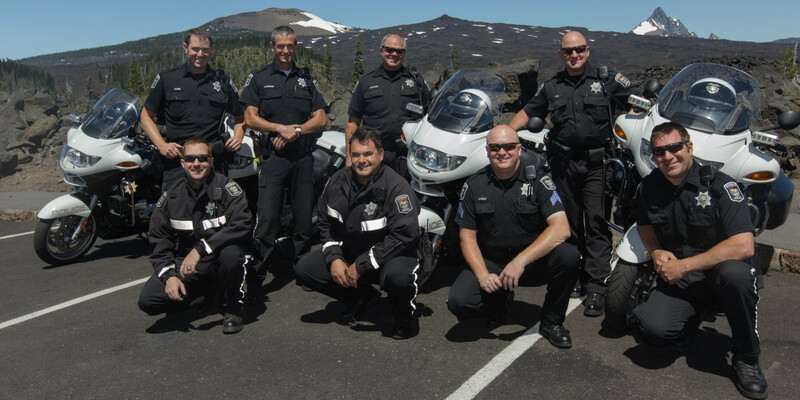 Officers from traffic enforcement unit pose for a photo at Dee Wright Observatory on McKenzie Pass. 22 April, 2011: Officer Chris Kilcullen (back row, third from left), age 43, was killed during a traffic stop. He is a 12-year veteran with the Eugene Police Department and leaves behind a wife and two children.